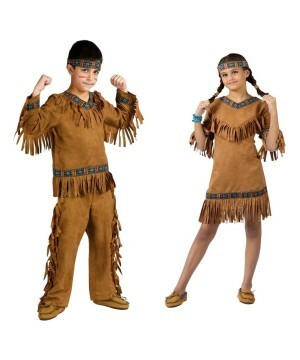 Find the best selection of Boys Indian Costumes right here. 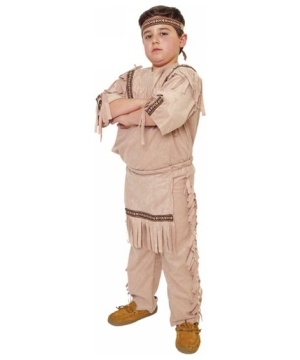 These Boy Costumes are representative of the history and heritage of America and are very useful for school events, thanks giving and Halloween! 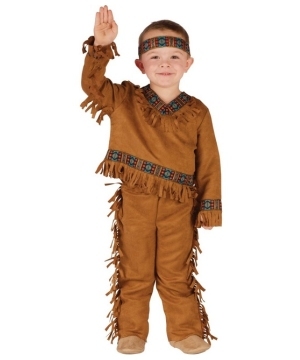 Become an Indian with any of our Indian Costumes for boys! The Native Americans were the first people who lived in the wilderness of the Americas. Indians hunted, gathered, and tamed the plant life in America. They farmed the land and helped pilgrims, new to the hard and wild life in America, live on the land. Some Indians built and lived in tippis while others roamed across the land with the buffalos. 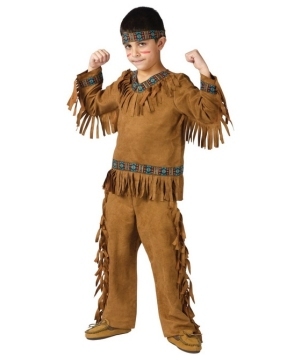 All of our Boys Indian Costumes pay tribute to such a rich American heritage of strong people. America would not have been built without this foundation. 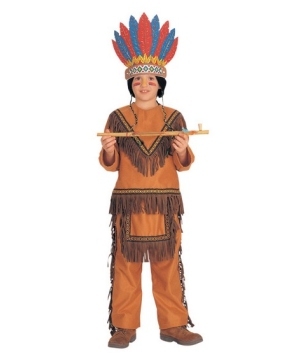 A Boy Indian Costume is true to the original dress of the first strong people of the American nation. The Indian Costume for boys shows what people would wear in the life of the wild. The line of Indian Boy Costume is simple but beautiful with its unexpected flashes of fringes, ribbon trims, headbands, and vivid wisps of colors in the patterns. 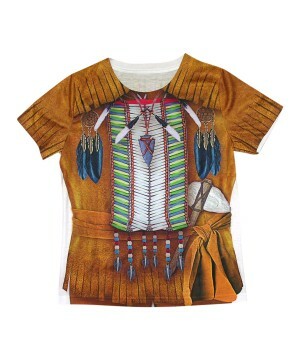 An Indian Costume is undeniably the very picture of what the first Americans looked like – noble and proud.